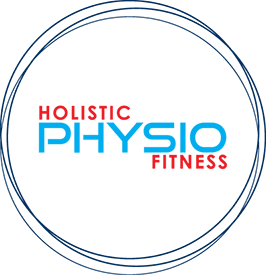 Why Holistic Physio Fitness Personal Trainers? What to expect?? We have a fully equipped gym and separate Pilates room to be able to do any style of training that works for you. HIIT, Cardio, Cross training, Circuit training, Strength, Tabata, Calisthenics, THE LIST GOES ON! Personal Training is a relatively unregulated profession. At Holistic Physio Fitness our trainers are bound by multiple professional bodies regulatory requirements. Our professional bodies including, ESSA, APA, FIA and AHPRA ensure that our standards are maintained yearly. Our trainers have many years of experience in the health industry, and when you want results, experience is what you need. We have also been used for professional advice on The Biggest Loser 2017 and advisory roles such as the filming of Dr Chris Brown content. Personal training meets Physiotherapy, the PERFECT combination. You can still get a hard and effective workout, while minimising your risk of injury. We help you reach your exercise and fitness goals in the safest way possible. We do this through a physiotherapy evidence based approach for injury prevention. Our trainers have the highest qualifications in the Personal Training industry. Not only are they Exercise Physiologist/Personal Trainers, they are also Masters of Physiotherapy meaning you get to your goal quicker, safer and more efficiently. Get fit AND limit your risk of injury at the same time from completing professionally tailored rehabilitation fitness. This still involves hard and effective training, the only difference is that it is safer because of our professional understanding of injury and the mechanisms that cause injury. At Holistic Physio Fitness we are a specialist weight loss clinic. Weight loss is not just about losing weight. Its about losing fat and retaining muscle. With DEXA scanning and professional programs, we target fat loss and help to retain as much lean tissue (muscle) as possible. Why train with someone who lacks the qualifications to deal with injury? Many sports bulletins comment on the high prevalence of injury when training without proper advice. This may be due to the lack of experience or inability to foresee a particular exercise that may cause injury. Holistic Physio Fitness team members are highly trained as personal fitness instructors and Physiotherapists. Therefore we are more capable of preventing injury whilst training, and fully qualified to manage injury should it occur. Come and try it, we believe our standards are second to none. *Rebates vary between funds. Please check your Physiotherapy and Exercise Physiology coverage. Coverage will only be provided for eligible conditions under Physiotherapy and Exercise Physiology respectively. Eligibility will be at the discretion of your therapist. Coverage is not available for general Personal training.